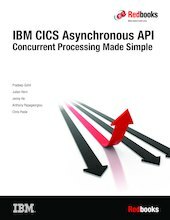 This IBM® Redbooks® publication covers the background and implementation of the IBM CICS® asynchronous API, which is a simple, accessible API that is designed to enable CICS application developers to create efficient asynchronous programs in all CICS-supported languages. Using the API, application developers can eliminate the overhead that is involved in coding and managing homegrown asynchronous solutions, instead using a set of CICS-supported API commands to underpin CICS applications, which are more responsive and robust than ever. Initially, the book reviews the history and motivations of asynchronous processing in computing and the benefits involved when calling external services. It then introduces the asynchronous API itself and its commands. It also provides a range of scenarios, including sample code, that cover everything from the basics of making an asynchronous request to updating existing synchronous program calls, with the goal of illustrating how to harness the CICS asynchronous API to solve real business problems. Later chapters take a deeper dive into the capabilities of the asynchronous API for advanced use cases. Beyond application development, CICS provides a complete solution for system programmers to manage and monitor asynchronous business logic. Thus, the final chapters of this book cover enhancements to CICS monitoring, statistics, trace, and dumps. Using supporting CICS tooling, system programmers have greater insight than ever, with improved transaction tracking capabilities and CICS policies to provide maximum control and optimization of asynchronous processing in CICS environments.